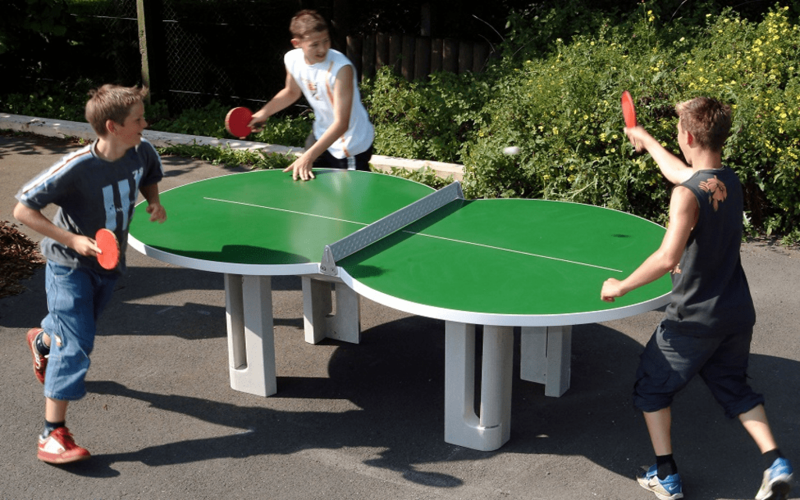 Table tennis is a sport with many health benefits which can be played in a small place. It is a great time pass for people of all ages. It gives a chance to improve your health and burn calories at a huge rate when you are just passing your leisure time. Without these, table tennis has many other health benefits, both physical and mental. Let’s take a look over the benefits of table tennis. Table tennis is a game which will provide you improved reflex if you practice it regularly. You need to response quickly to the ball coming to you as it is a short distance game. As a result, there you will have some unconscious response of your hand. If you play table tennis regularly, your reflex will be increased and you will be able to develop a quick response skill. In table tennis, you have to carefully observe the ball and make a quick response with your hand. At the same time you have to think about how you willmake your opponent miss the ball. Thus, you are using your eye, brain and hand continuouslyfor playing this game. A regular table tennis player develops good eye-hand coordination in this way. Table tennis is a good way to improve heart rate. The fast movement of body at the time of playing table tennis is the reason behind this. It is not that much tough to get this benefit from table tennis. Half an hour of table tennis everyday will do well for increasing your heart rate and keeping you fit. Table tennis is a game which will allow you to enjoy fully without putting much pressure on your joints. As you have to use your legs a lot, you may think that it will put pressure on those. But the thing is, instead of putting pressure on legs, table tennis will help you to improve your joints quickly. If you have got any back problem or leg problem, try table tennis for getting rid of those. You will not be tensed anymore after watching the result. Besides, table tennis also helps to improve other joints of your body also, for example- hand joints, waist etc. You have to depend on your legs and continuously move your body and hands when you play table tennis. So, you will have to have agood balance of your body. Playing table tennis regularly helps to improve physical balance in this way. As more you will play, you will see that you have a better control over your body. It will save you from different accidents too. Table tennis has some mental benefits also. It helps to improve concentration skill. Besides, it increases the blood flow in the brains. Thus it keeps the brain sharp. It also stimulates different parts of the brain. So you can see that table tennis is able to ensure your short term and long term physical and mentalactiveness.